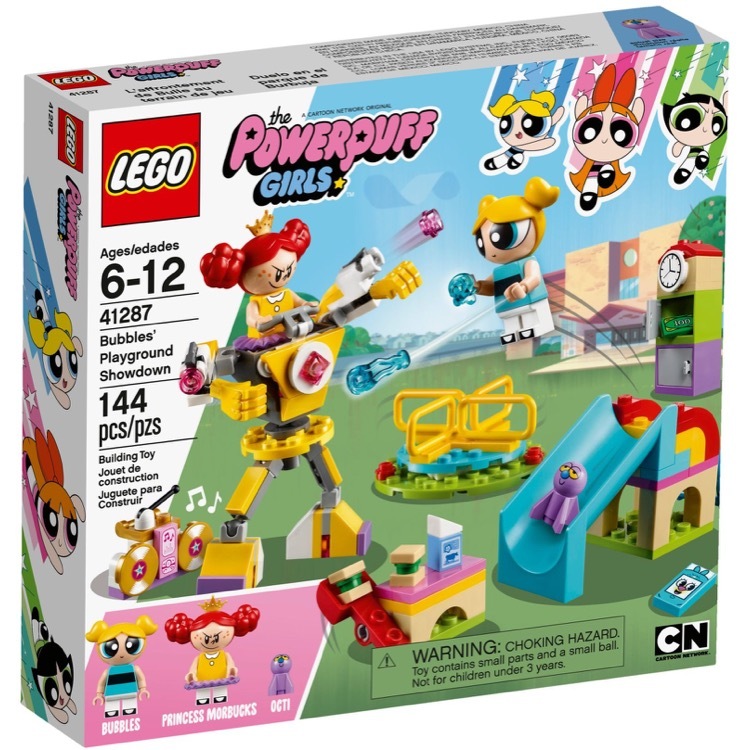 This is a BRAND NEW set of LEGO® The Powerpuff GirlsÃ¢â€žÂ¢ 41287 Bubbles Playground Showdown from 2018. This set is still factory sealed and the box is in very good condition with minor shelf wear. 144 pieces and 2 minifigures©. 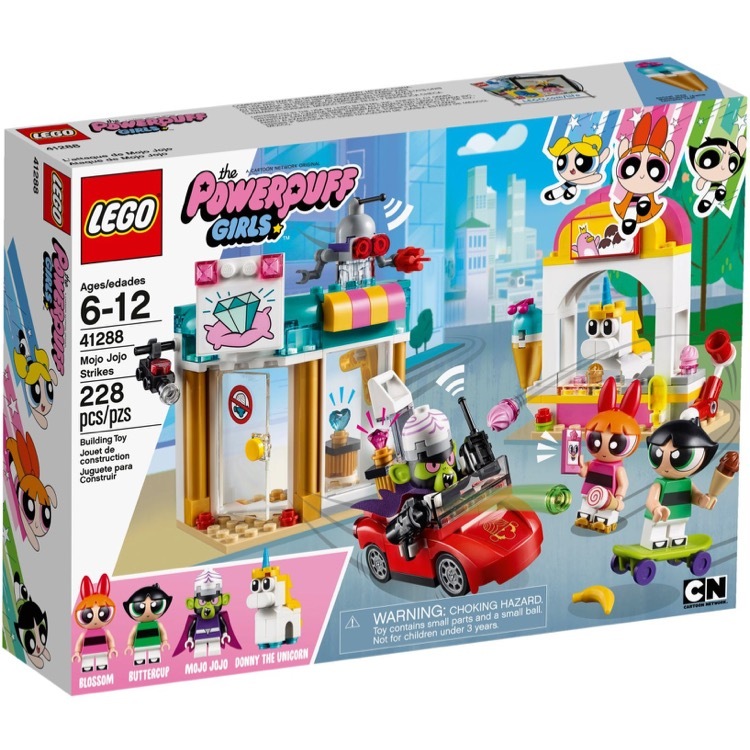 This is a BRAND NEW set of LEGO® The Powerpuff GirlsÃ¢â€žÂ¢ 41288 Mojo Jojo Strikes from 2018. This set is still factory sealed and the box is in very good condition with minor shelf wear. 228 pieces and 3 minifigures©.